Check out who is coming to town! 2018-19 Theater Playbill Advertising Rates and Specs are out! 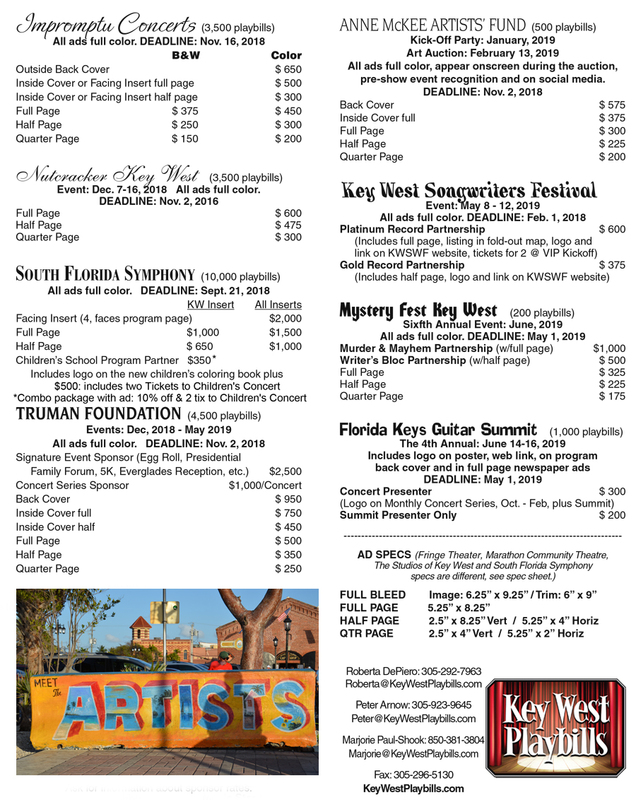 It’s true, the 2018-19 Key West Playbill Advertising Rates and Specs are out! Reserve your spot now. First deadlines are September 15 for South Florida Symphony and Studios of Key West. 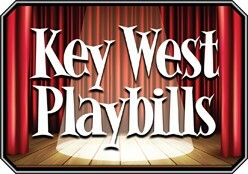 Email us at roberta@keywestplaybills.com. 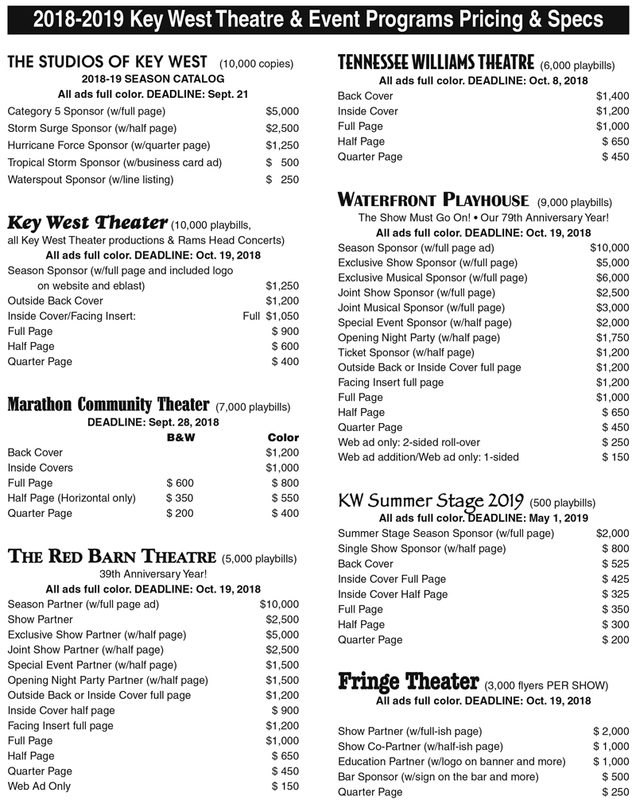 2018-19 rates for Studios of Key West, Key West Theater, Marathon Community Theatre, Red Barn Theatre, Tennessee Williams Theatre, Waterfront Playhouse, Key West Summer Stage 2019 and Fringe Theater. 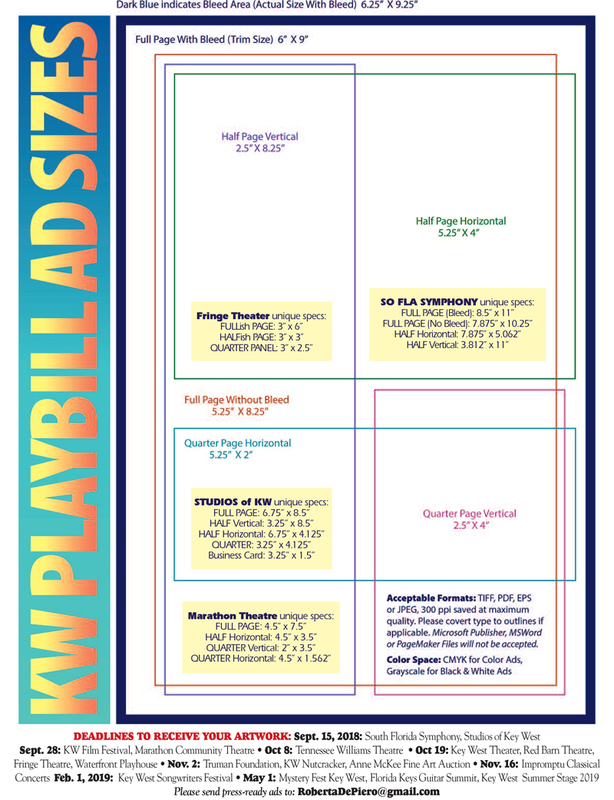 Key West Playbill Specs. Yellow boxes have the special specs for Fringe Theater, South Florida Symphony, Studios of Key West and Marathon Community Theatre. 2018-19 Theater Season Playbill advertising just around the corner! We are so excited to reveal our new logo for the upcoming sales season! We will be ready in a few weeks for you to reserve your ad in any of the following programs: Studios of Key West, Key West Theater, Marathon Community Theater, The Red Barn Theatre, Tennessee Williams Theatre, Waterfront Playhouse, Key West Summer Stage 2019, Fringe Theater, Impromptu Concerts, Nutcracker Key West 2018 South Florida Symphony, Truman Foundation, Anne McKee Artists Fund Catalog, Key West Songwriters Festival, Mystery Fest Key West and Florida Keys Guitar Summit. Announcing the Key West Photography Festival slated to take place February 8 – 11, 2018 in various venues in Key West, Florida. A four day Photography Event organized by Quincy Perkins and Lena Perkins. 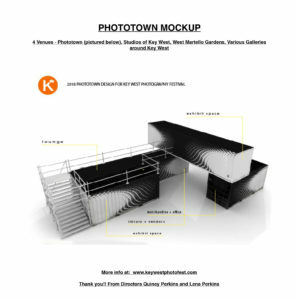 Pop-up Phototown community created just for the fest. Hands-on workshops, panels and photography conversations. Festival program will be magazine size. You can support this new festival with ads or a sponsorship. Photo town coming to Key West. It’s time to get your ads in for the Marathon Community Theatre Program – due by this Friday September 26, 2014. 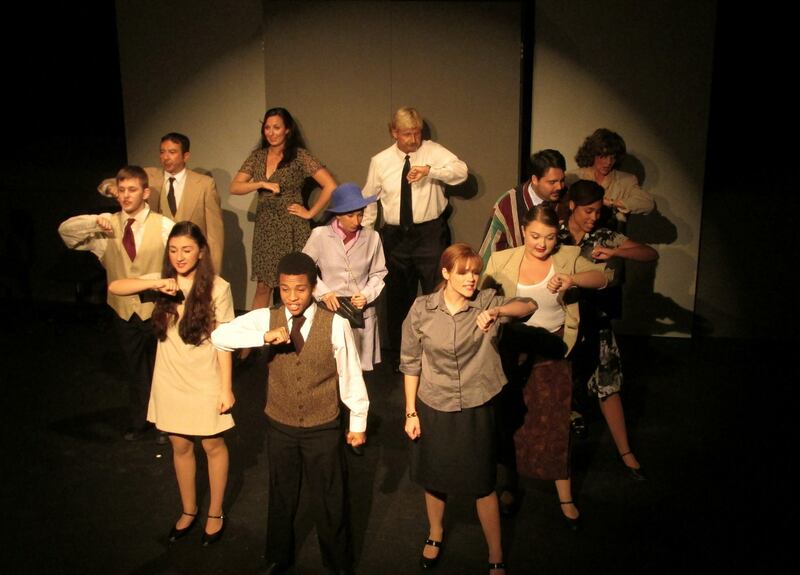 Tennessee Williams Theatre and Theatre XP Deadline is October 7, 2014. 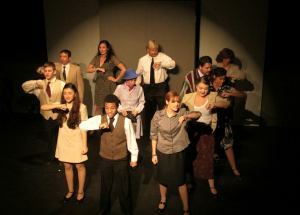 Ads due by October 7 for Tennessee Williams Theatre Program. 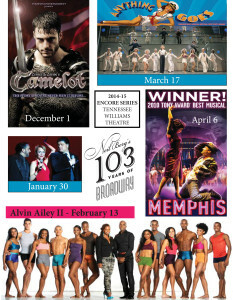 These theaters are offering special sponsorships above and beyond the regular ad reservations for the 2014-15 season. The theaters are putting their schedule brochures together now. Have your business logo associated with a show or the entire season. 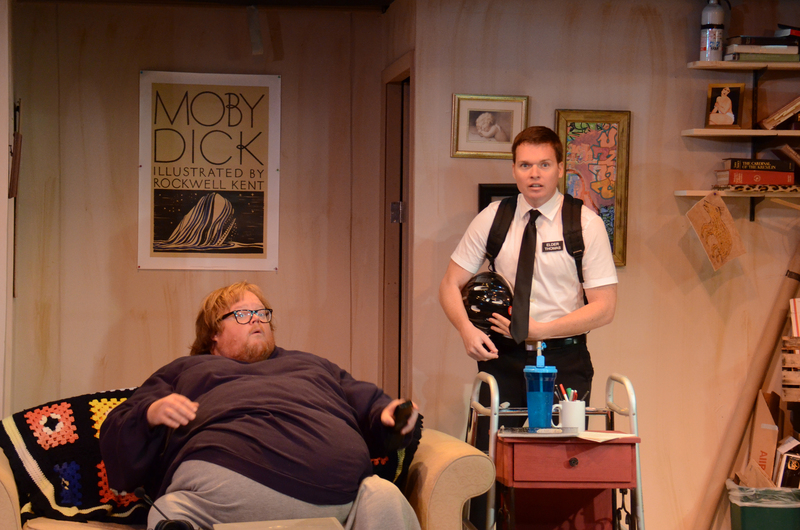 2014-15 Theater Season ~ Why should we support the cultural arts? 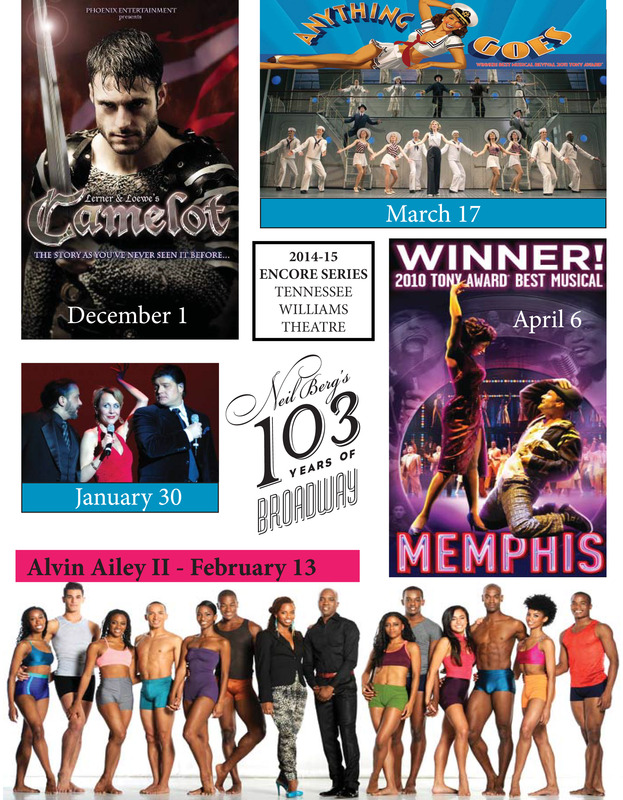 All the playbills that we represent for the 2014-15 Season. Your business can help support to keep these cultural programs alive. Advertising that is a Win-Win! 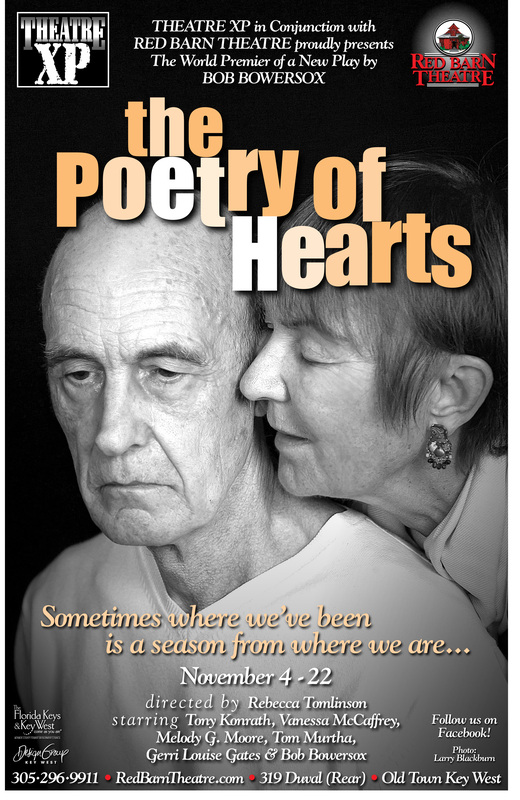 Cultural Arts programs for the Florida Keys theaters, music, art and Key West festivals are proven vehicles to get your ad seen and show your support for the live performances in Key West and the Florida Keys. 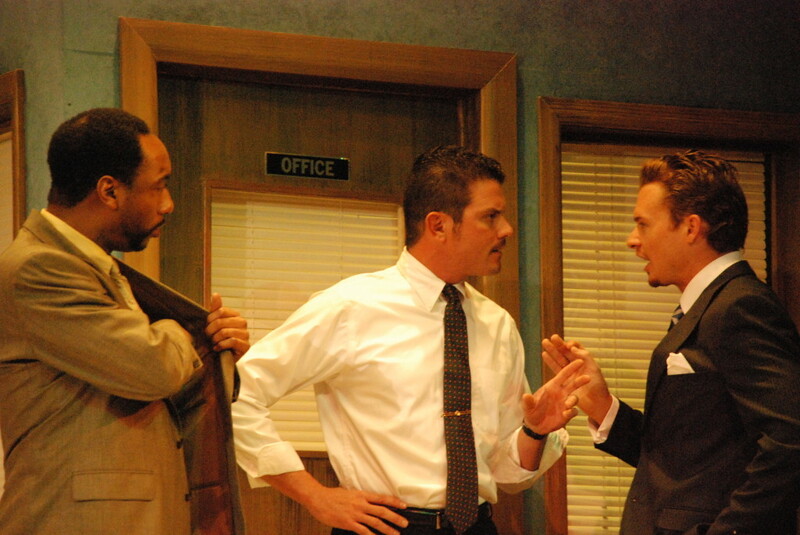 With your support, the Florida Keys will continue to be the cultural center we are known for. Collectively, these playbills land directly into the hands of the approximately 70,000 captive audience members over all events in the course of the 2014-15 Season. 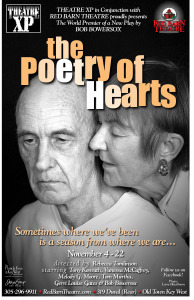 Published annually with the opening of each season/festival, the playbill includes pertinent information for each show, biographies of cast members, directors, technicians, designers, festival event information, maps, and information on the upcoming seasons. The ad rates are for an entire season of advertising. 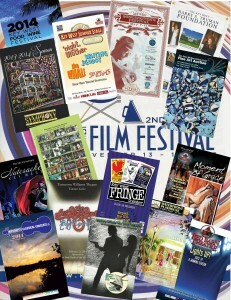 All programs are the same specs except Marathon Community Theatre. The festivals host a variety of folks: 75% tourists, 25% local, ages 21- 75. Almost 100% Local market: The Anne McKee Fine Art Auction, Nutcracker Key West and Key West Summer Stage are your programs. Theatre patrons include parents, grandparents, friends of parents, aunts & uncles for Nutcracker Key West . 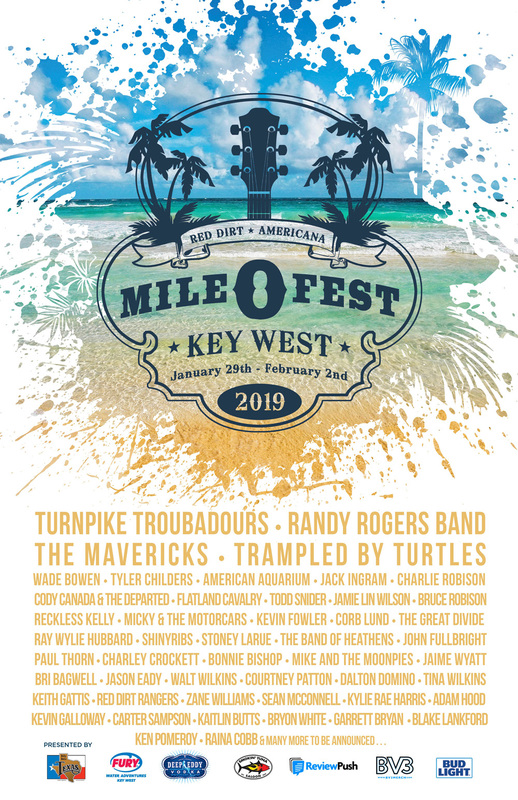 Both Anne McKee and Key West Summer Stage draw a large local audience. Tourists and Locals with a disposable Income: Marathon Community Theatre, Key West Fringe, Red Barn Theatre, Tennessee Williams Encore Series, Theatre XP, Waterfront Playhouse, Impromptu Classical Concerts, Nutcracker Key West, South Florida Symphony, Anne McKee Fine Art Auction, & Truman Foundation is your choice for placement of your ad. Keys Destination marketing: South Florida Symphony reaches Dade, Monroe & Broward counties up to West Palm Beach. Targeting tourists in town and wanting to support the festivals that bring them: Key West Film Festival, Key West Food & Wine Festival & Key West Songwriter’s Festival, Miss Gay Southernmost USofA and Mystery Writers Key West are your programs.